As of this evening, the lake level is down to 232.15, hooray! Still a long way to go to normal pool level of 216 feet. All access to the lake except at the dam is still closed. 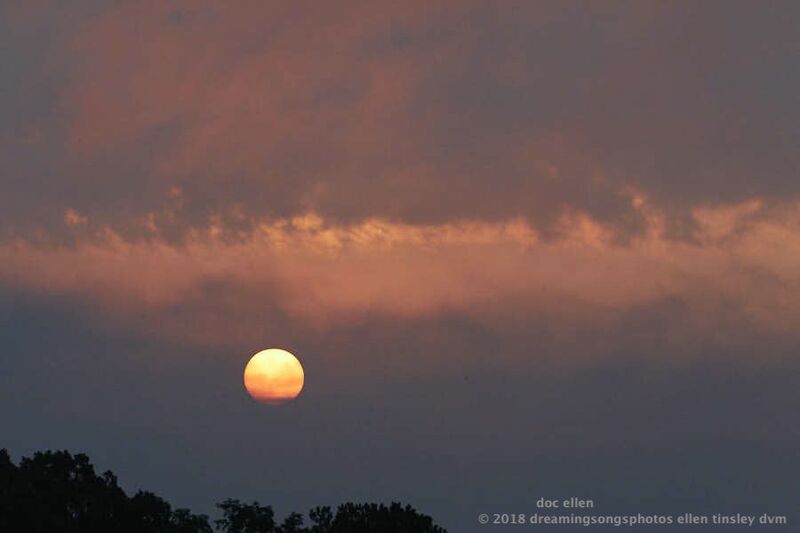 Sunrise in the lifting fog at the dam. 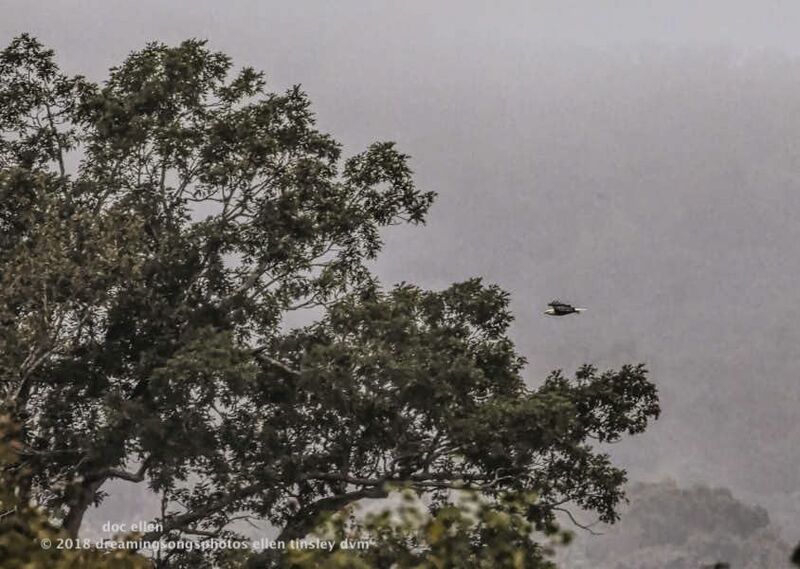 The foggy landscape cleared just enough for me to take this long shot of an adult eagle heading south over the lake. 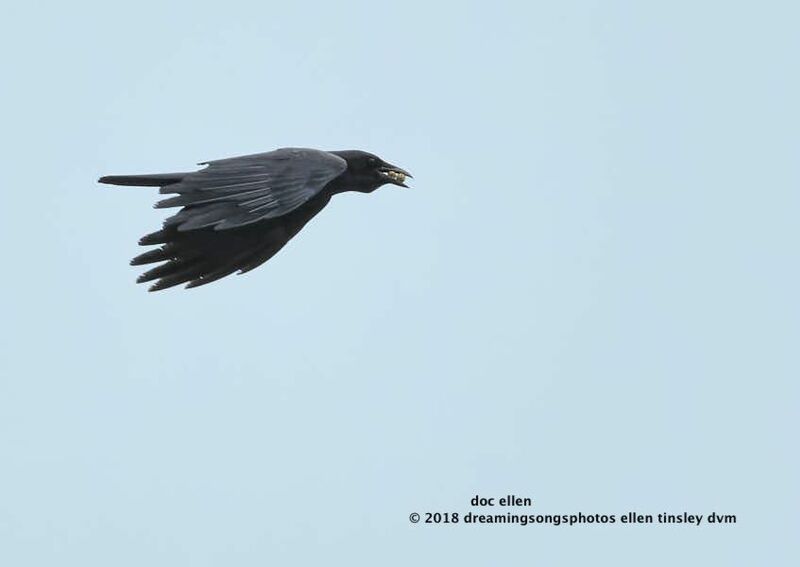 Not long after the adult eagle flew past, a 2-year-old eagle caught my attention as it was heading northward up the lake. 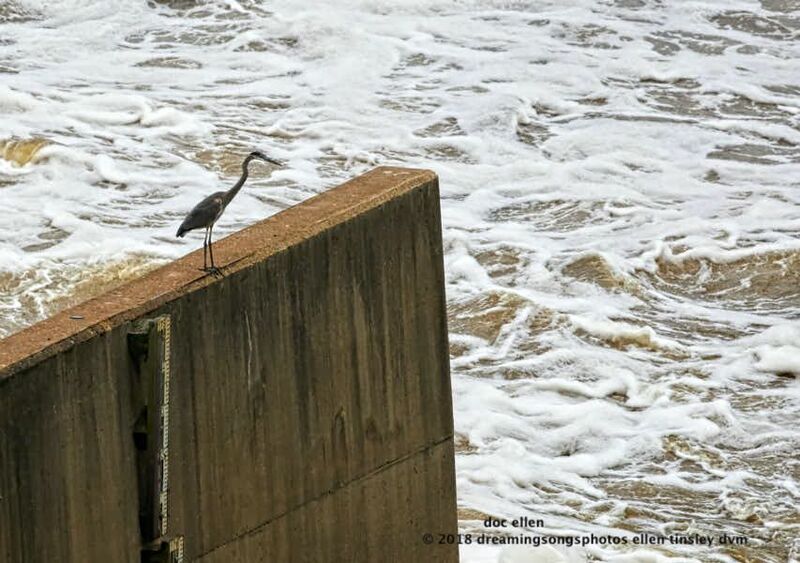 Looking puzzled, the great blue heron lets us see how turbulent the Haw River has become as it escapes at the higher flow rate the Army Corps of Engineers gave it. As I was packing up for the day, I was given a moment of laughter: this crow zipped past, beak filled with 2 acorns. 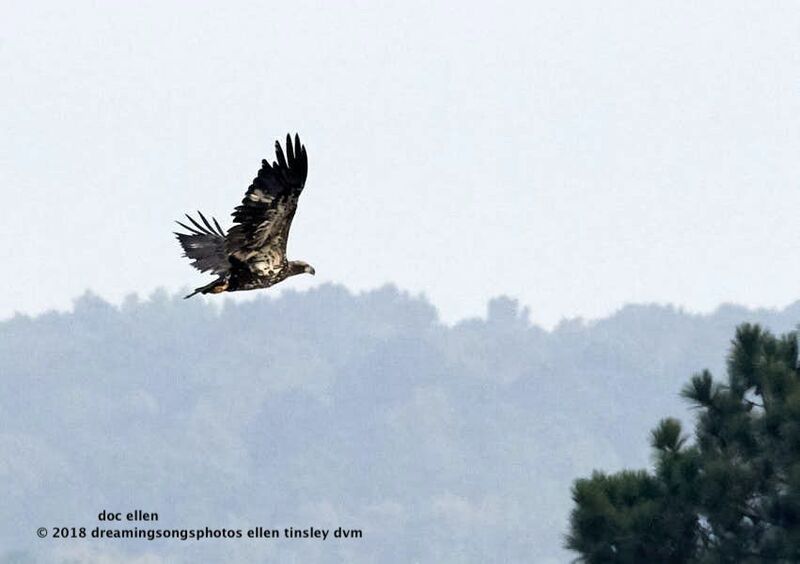 Posted in birds, Eagles of Jordan Lake, Haw River, herons, Jordan Lake, Jordan Lake State Park, photography, raptors, scapes: sky, scapes: sky, land, water, wild birds and tagged as 2 year-old bald eagle, American bald eagle, American crow, bald eagle, bald eagles of Jordan Lake, crow, great blue heron, Jordan Lake, Jordan Lake dam, Jordan Lake State Park, raptor, wild bird.